Irish Wolfhounds are basically sight dogs, they use their sight and agility to hunt rather than scent. They are originated from Belgium and Ireland parts of the world. They were also used for hunting Irish Elk and wolves back in the day. Their size got them a part in many wars and as guard dogs. They started to become extinct but was brought back by Captain Gorge Augustus Graham who was fascinated with Scottish Deerhounds at the time. Today’s Irish Wolfhound may very well be mixed with Scottish Deerhounds because Graham felt that there wasn’t too much difference between them. He bred them together to recreate the standard Irish Wolfhounds that we know of today. 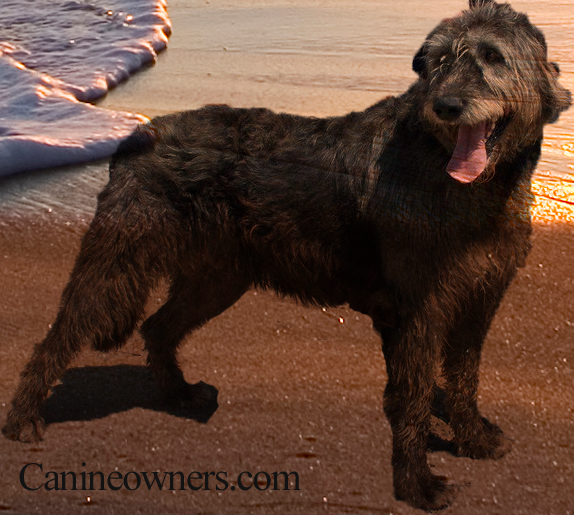 Today’s Irish Wolfhounds lost their ability as a guard dog and are known to be even friendly toward strangers. Irish Wolfhound puppies are very cute and can get very big fast. You will need to have enough space to care for them. An apartment is not suited for these dogs not because they are active indoors but because they get very large. Adult dogs can reach 34 inches in height and weigh up to 185 pounds. They have a lifespan anywhere from 8 to 10 years. 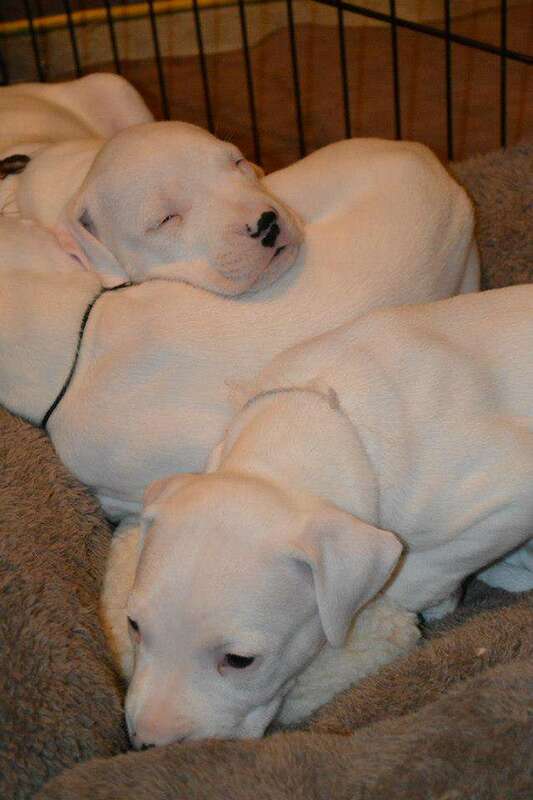 Their coat color can come in grey, red , fawn, black, white and brindle. 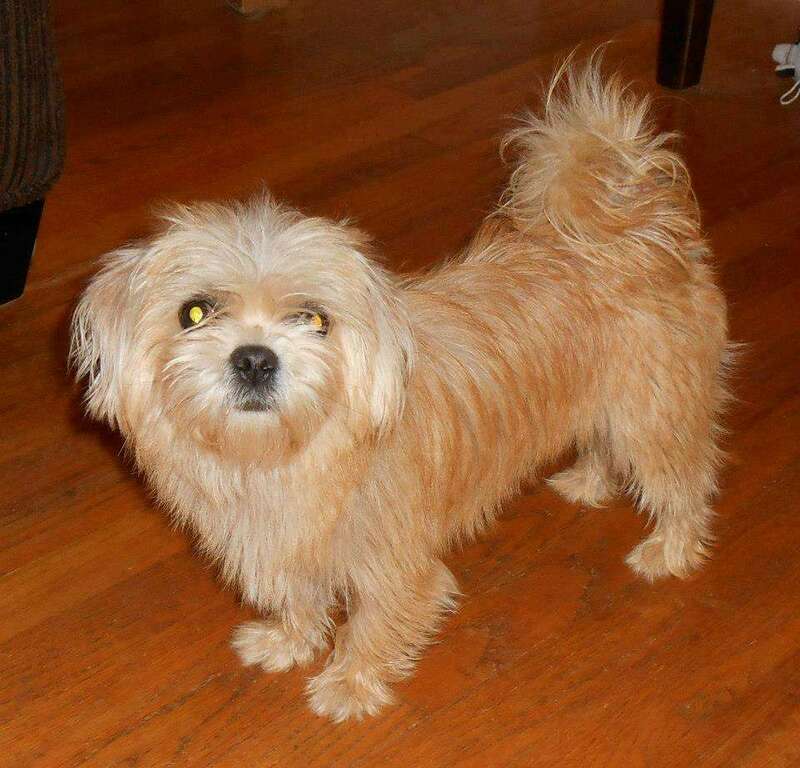 They require weekly grooming and you may need to cut off their long hairs. A good diet is important for this breed as they are prone to bloating. Meals should be spread out through out the day in small amounts. You should feed a good quality diet that contains no fillers. You should feed them a good quality dog food such as Orijen but pick the ones that contains lower protein amounts. Protein should be kept lower while the puppies are growing up as too much protein can cause them to grow too fast which is bad for the bones. Irish Wolfhound puppies are very sweet tempered. Today’s Irish Wolfhound’s do not make very good guard dogs. They are very people friendly although their size can intimidate people. They can get along with cats in you family with very little training. When these dogs are left outdoors however they love to chase small prey. They need to be trained to be on a leash because they have the urge to pull you with them. Irish Wolfhound puppies respond to positively enforced training and any negativity confuses them. Irish Wolfhound puppies can grow up to have many health problems especially if you didn’t get your puppies from a reputable breeder. Hip dysplasia and Elbow dysplasia are hereditary conditions that your puppies can inherit if the parents were prone to them. These dogs are extremely sensitive to pain medications as well as anesthetic s. They are known to get a disease called liver shunt where the blood from the liver does not flow regularly through out the body. Heart diseases are common in this breed where the heart muscle weakens and doesn’t contract normally. They are also prone to bone cancer, degenerative eye disorder and bloat. Bloat is something that makes me worry with this breed. It is a life threatening problem, it is caused by too much gas in the stomach which makes it twist. Irish Wolfhounds can get bloat just by eating large meals at once, drinking too much water quickly or exercising vigorously after a meal. 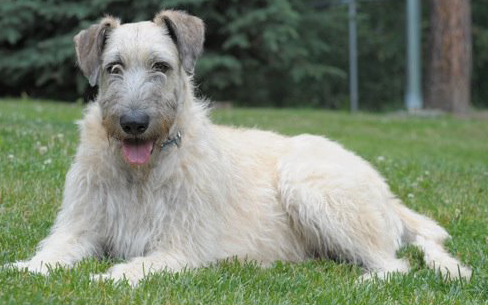 Symptoms of bloat in Irish Wolfhounds include lethargy, attempts to throw up, restlessnes and shock. If emergency measures are not in place they will end up dying. Irish Wolfhounds may not for you if you don’t have a genuine love for the breed.You should be prepared to spend at least 12,000 dollars in expenses through out the dogs lifetime. Many people fail to understand this while getting Irish Wolfhound puppies thus many end up in shelters. Before you decide to rescue a shelter dog, be sure to learn as much as you can about the breed.There are many Irish Wolfhound rescues out there, here are some of the more popular ones. If you are interested in adopting dogs in general, you can refer to an article I wrote “Adopting an Older Dog“.